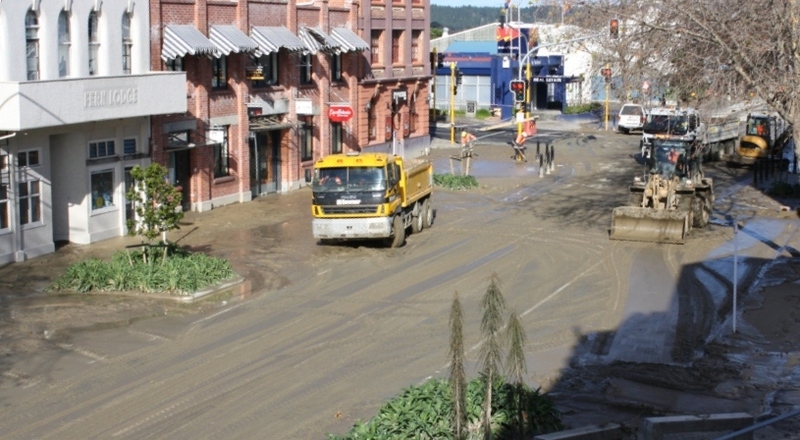 In June, Whanganui City was hit by the worst flood on record, and the damage was unfortunately not restricted to the city boundaries. While some Whanganui staff gave Civil Defence a hand with the clean-up around the city, others ventured up the river to take stock of the damage in the Whanganui National Park and surrounding conservation land. 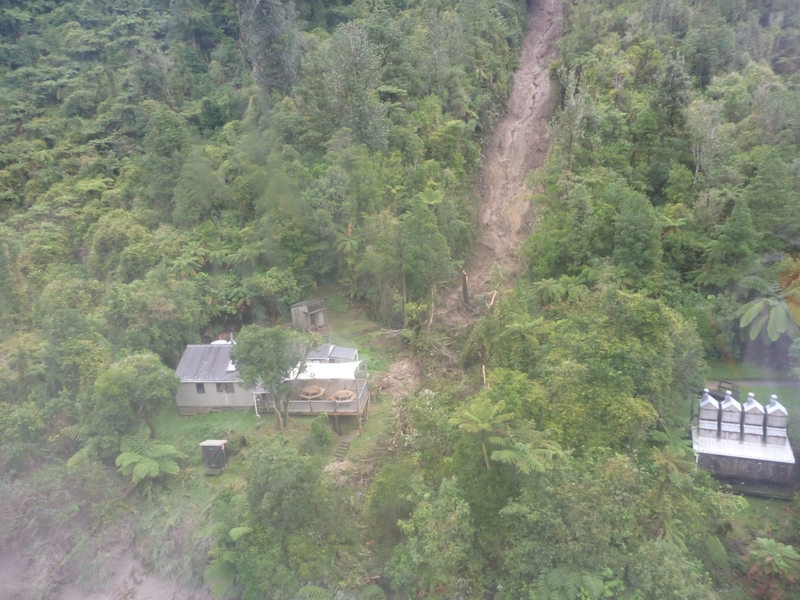 Flood waters had dumped a generous quantity of silt across all campsites on the Whanganui Journey Great Walk, swamped toilets, washed away signage and caused a significant slip to come down alongside the John Coull Hut. Multiple slips have also closed the Bridge to Nowhere Walk, an attraction which usually receives thousands of visitors each year. The damage was just as bad in other parts of the district. Priority number one for the Whanganui crew is to dig, shovel, blast, chainsaw, build and clean these facilities and get them back up to scratch in time for the Great Walk season, beginning in October. This is a massive job and will require multiple work teams to be based on the river over the next six to eight weeks. Another popular attraction in the Whanganui National Park is the Mangapurua leg of the Mountains to Sea cycle trail. Heavy rain during the flood brought down multiple slips and wiped out foot bridges, closing the track. All going well we will have this trail open by the end of October. At the same time, the district is gearing up for an important pest operation as part of the Kia Wharite Biodiversity Project. While negotiating the rain, snow, and road closures, we have also just finished strengthening our network of predator traps to protect whio on the Manganui-o-te-Ao River. We are grateful of the support from our neighbours in the Ohakune DOC Office who gave us a hand with the rollout of 200 new trap boxes to fortify our trap network. Hopefully we will see numbers of whio ducklings on the increase in this waterway this summer. It’s definitely a busy time here in the Whanganui District. My thoughts are with DOC getting all this damage from the floods sorted.. Living in Taranaki I have completed many of these excellent tracks in Wanganui including the flagship Matemateonga Track. Please retain Puteore and rescue Tahupo Hut from the slips thus keeping the eastern link of the Waitotara’s accessible for Trampers and Hunters.and thanks for all your good work DOC.